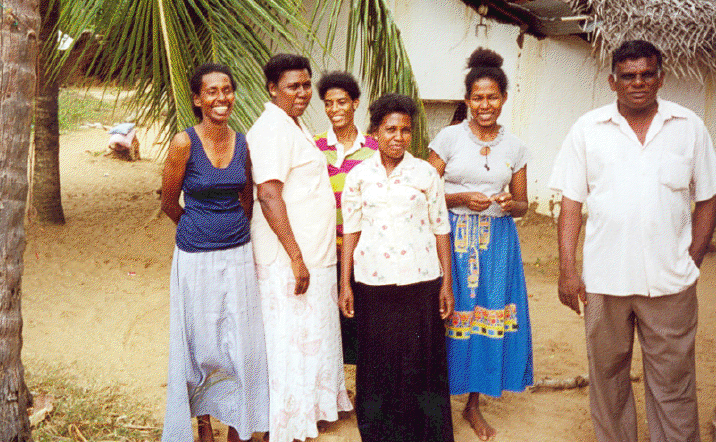 My interest in South Asian communities with African ancestry began when I encountered the Afro-Sri Lankan community in Sirambiyadiya, a small village, few miles inland from Puttalama on the northwestern coast. At the time, I was researching the current status of Indo-Portuguese, a creole language. Indo-Portuguese is a language which should have died out with the end of Portuguese rule in 1658. Yet here in this small African community it still survives albeit spoken largely by the elderly. How had it survived among people with African ancestry? And what were the mechanisms which ensured that survival? 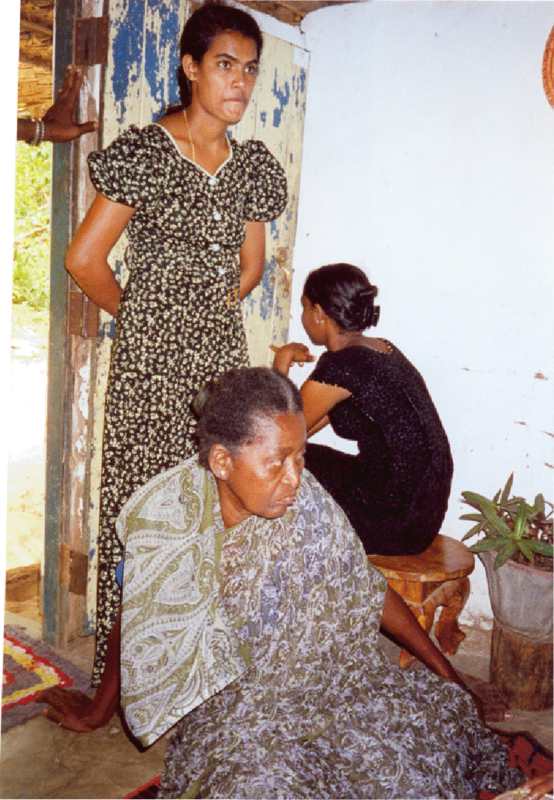 Most Sri Lankans are not aware of this small African community, though its grand-matriach, Ana Miselyia, and others were portrayed on Sri Lankan television in a documentary in the 1970s. I learnt about their past, from their own accounts of their history. They told me that their ancestors were slaves and soldiers who were brought from Mozambique, Madagascar, Goa and Portugal by the Europeans who dominated the Island for almost half a millenium. But there are more subtle and far-reaching reasons which have a bearing on their current position. To understand this we have to move beyond the shores of Sri Lanka. Afro-Asian communities are the result of a continuous centuries-old phenomenon but why are they not widely known? The obvious reason for this is their hidden presence as forest-dwellers, villagers and people on the margins. Those who live in urban areas are not easily identifiable either and are lost in the diversity of South Asia’s cosmopolitan cities. Afro-Asians are taken for African tourists until they begin to speak in the local Asian language! Movement of Africans to South Asia was fuelled by the slave trade. An estimated 12.5 million Africans were moved across the Sahara, Red Sea and the Indian Ocean to unfamiliar lands where they were re-rooted. But this movement was over a millennium, from 900 AD to 1900 AD. The Indian Ocean slave trade was lubricated by socio-religious factors. Benefits from concubines, eunuchs, soldiers and servants were not entirely economic. European commercial expansion into Asian markets added another dimension to this trade in humans which moved millions of Africans overland and across the world’s giant waterways. But we must not forget that free movement of African seafarers, sailors and merchants in the Indian Ocean World did not stop whilst the slave trade was continuing. The island of Janjira (off the west coast of India near Mumbai), for example, was a base for African traders long before it became the powerbase of a princely state ruled by Africans from 1618 for about three and a half centuries. Another state, Sachin, was also ruled by Africans from 1791. In 1948, the year after India gained independence, both these states became part of the new nation. Ex-Royal Africans, still live in India and are well respected locally. Elite military slavery, though not unique to Africans or South Asia, provided the mechanism for some slaves to reach high positions and wielded power. Most Afro-Indians (called Sidis today) live on the periphery but those in Saurashtra (Gujarat state) and Yellapur (Karnataka state) fall within the category of a Scheduled Tribe. They benefit from the Indian government’s affirmative action schemes available for those recognised as socially and economically marginalised. 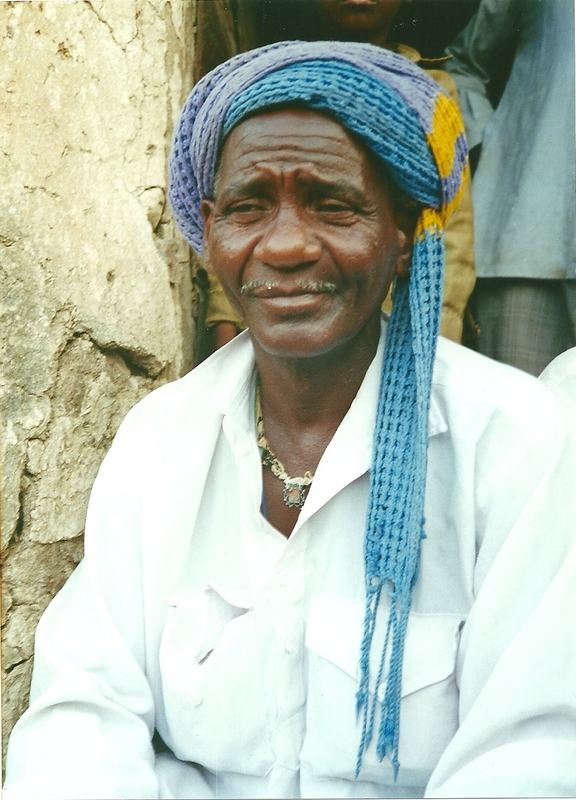 Village headman, Jambur. Photo - A.W. Some Afro-Indians have found a role as spiritual healers. The shrines of African Sufi saints are frequented by Hindu, Christian, Zoroasthrian and Muslims alike. They are not concerned with the ethnicity of the Saints or the spirit mediums through whom they simply want to benefit. Not all Afro-Asians have been able to find a niche in India today. In Andhra Pradesh, Sidis are associated with the disbanded African Cavalry Guard of the Nizam of Hyderabad. They are nostalgic of their lost past; Indians looked up to them when they accompanied the Nizam on his parades. The story is similarly bleak in Uttar Pradesh, where descendants of the Nawab of Oudh’s African Bodyguard and Cavalry Guards live on the poverty line. During the Indian Mutiny in 1857, the ancestors of these Sidis fought bravely and loyally for the Nawab. Perhaps surprisingly, the Nawab had a female bodyguard and the British soldiers were not aware that they were fighting women until after their dead bodies were found. Whilst Afro-Asians have not been able to maintain much of their cultural traditions, it is quite striking that they have been able to hold on to their forms of music and dance which have also encapsulated vestiges of their languages. 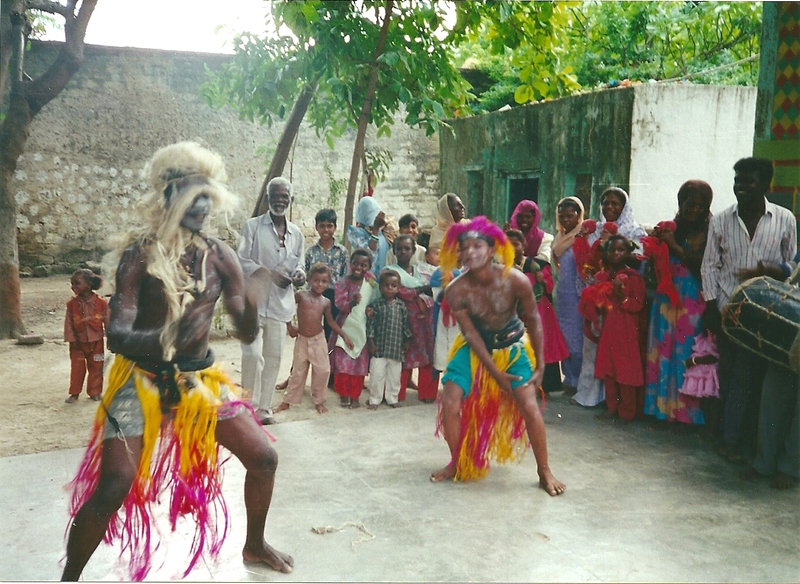 In Gujarat, the Sidi performances of Dhamal or Ngoma are linked to Sufi practices. In Pakistan (Karachi and Sindh) the Shidees sing lava which encompasses Swahili words. 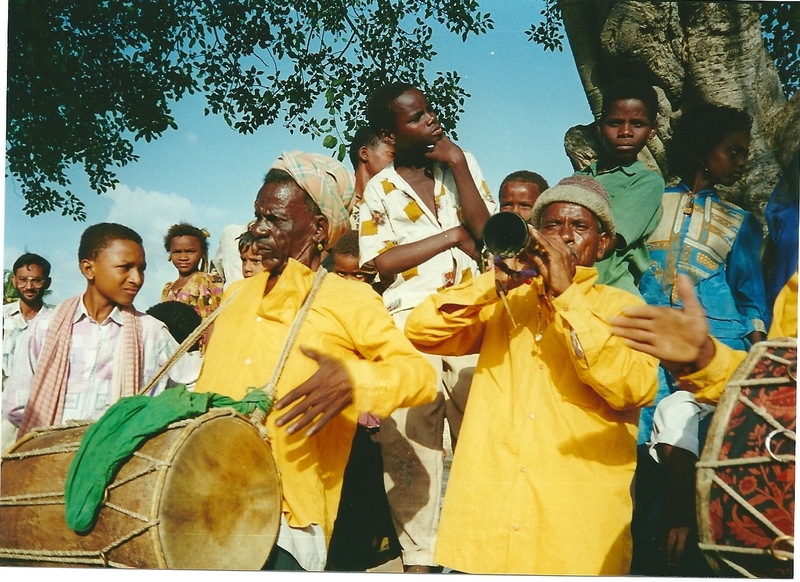 In the nearby Maldives, Baburu lava rings out the music introduced by African slaves. The rhythm-driven music of the Roman Catholic Afro-Sri Lankan community in Sirambiyadiya and their Indo-Portuguese songs, called Manhas, reverberate in my mind. Language change is inevitable but music is more resistant and the lyrics are preserving the vestiges of an endangered language. In the Indian Ocean, music of the Afro-Asians holds everything together – identity, resistance, entertainment and religion. Social mobility, out-marriage and religious conversion were also catalysts in the process of assimilation which made Africans invisible in South Asia. Yet, there are a significant number of South Asians who identify themselves with Africa. Their physiognomy may not always fit into a stereotypical African phenotype. Identity is a complex issue – dynamic and multi-faceted. There are a significant number of South Asians who are of African descent. There are a large number of Pakistanis with African descent. As early as the seventh century, Africans settled on the Balochistan coast and the Sindhi shores. Sidi dance, Junagadh, Gujarat. Photo - A.W. Numbers of Afro-Indians are a problem due to the lack of accurate statistics. In India, there are about 25,000 each in the states of Gujarat and Karnataka with about 10,000 in Andhra Pradesh and smaller numbers in Maharashtra, Uttar Pradesh and Madhya Pradesh. With improved communication networks they are becoming more aware of their ethnic origins and cultural roots. Economic pressures dominate their lives, but there are tensions between assimilation and integration. The legends and historical facts on African movement to South Asia, indicate that the ancestors of today’s African communities in South Asia were soldiers, traders or slaves. The current fates of these communities are a result of diverse histories and varied fortunes. These South Asians are aware of their African past and are hoping to forge links with their ‘lost cousins’. Researching eastwards African migration is a challenging task given the duration of migration and the geographical spread. As Hubert Gerbeau, the French historian pointed out in the 1970s, a historian analysing the African diaspora will also have to be a linguist, a biologist, an ethnologist, an archaeologist, a specialist in oral tradition and perhaps even a psychiatrist. Research on Africans who moved to South Asia is now gathering momentum and is having a knock-on effect on the lives of the people who are being researched. Having written articles and books about these communities for several years, I feel rewarded because the Sirambiyadiya Afro-Sri Lankan community has been awarded a grant to develop their musical potential, to form a band of musicians and to record their music. Benefits of academic research and writings which draw attention to the unusual history of these South Asian communities is having a wider impact on society. Anyone interested in the topic can find a combinatorial explosion of references within the works listed below. Ali, Shanthi Sadiq (1996). The African Dispersal in the Deccan: From Medieval to Modern Times, New Delhi: Orient Longman Ltd.
Basu, H (2008). ‘Music and the Formation of Sidi Identity in Western India’, History Workshop Journal 65, Spring issue. Bhutto, F (2010). ‘ Mangho Pir’, Granta Autumn issue, pp. 227-241. Chauhan, R R S (1995). Africans in India : From Slavery to Royalty, New Delhi: Asian Publications Services. De Silva Jayasuriya, S (2006). ‘Trading on a Thalassic Network: African Migrations across the Indian Ocean’, International Social Sciences Journal 188: 231-240, Paris. De Silva Jayasuriya, S (2007). ‘The African Diaspora in India’, In: An Encyclopedia of the African Diaspora, Ed: C Boyce-Davies. California: ABC CLIO. De Silva Jayasuriya, S (2008). African Identity in Asia: Cultural Effects of Forced Migration, Princeton, New Jersey: Markus Wiener Publishers. pp. 164. De Silva Jayasuriya, S (2008). The Portuguese in the East: A Cultural History of a Maritime Trading Empire, London: I B Tauris Academic Publishers. pp.212. De Silva Jayasuriya, S (2006) (editor). ‘Sounds of Identity’, Musike 2. International Journal of Ethnomusicology, The Hague, Netherlands. De Silva Jayasuriya, S (2010). The African Diaspora in Asian Trade Routes and Cultural Memories, UK: Edwin Mellen Press. pp. 198. De Silva Jayasuriya, S (2011). ‘Recruiting Africans to the British Regiments in Ceylon: Spillover Effects of Abolition in the Atlantic’, African & Asian Studies 10: 13-29. De Silva Jayasuriya, S & Angenot, J-P (2008). Uncovering the History of Africans in Asia, Leiden: Brill Academic Publishers. De Silva Jayasuriya, S & Pankhurst, R (2003). African Diaspora in the Indian Ocean, New Jersey: Africa World Press. Gerbeau, H (1979). ‘The Slave Trade in the Indian Ocean: Problems Facing the Historian and Research to be Undertaken’, In: The African Slave Trade from the Fifteenth to the Nineteenth Century, Paris: UNESCO. Harris, J (1971). The African Presence in Asia. Consequences of the East African Slave Trade, Evanston, Illinois: Northwestern University Press. Jasdanwalla, F (2011). ‘African settlers on the West Coast of India: The Sidi Elite of Janjira’, African & Asian Studies 10: 39-56. Llewellyn-Jones, R (2011). ‘The Colonial Response to African Slaves in British India – Two Contrasting Case Studies’, African & Asian Studies 10: 57-68. Pankhurst, R (2003). ‘The Ethiopian Diaspora in India: The Role of Habshis and Sidis from Medieval Times to the End of the Eighteenth Century’, In: The African Diaspora in the Indian Ocean, Eds: S de Silva Jayasuriya & R Pankhurst. New Jersey: Africa World Press. Robbins, K & McLeod, J (2006). African Elites in India, Hyderabad: Mapin Publishers. Shroff, B (2009). ‘Indians of African Descent: History and Contemporary Experience’, In: New Social Movements in the African Diaspora: Challenging Global Apartheid, Ed: L Mullings. New York: Palgrave-Macmillan. Details of an event entitled ‘Indians of African Descent: Identity and Music’ on Monday 19th September 2011 in Senate House, Malet Street, London can be found here. Shihan’s latest book has been published by the Edwin Mellen Press. It’s entitled The African Diaspora in Asian Trade Routes and Cultural Memories. I was surprised to read that there are people of African origin in South Asia. So it is good to be enlightened. Shihan presents a number of little known facts and the narrative is well supported and enhanced by the images. I wasn’t quite sure what the “centuries-old phenomenon” referred to – perhaps to the slave trade and military service? Is it accurate to state that “there are a significant number of South Asians of African descent”? Are the population figures given for three of the Indian states derived from the Census or local estimates? Glad to hear that these Afro-Asians are becoming aware of their past and seeking to connect with Africa. Many people are not aware that there are South Asian communities with African roots. Numbers are estimates given by researchers and not from census reports. As early as the first century, African slaves were taken to Asia, but African traders and sailors moved to Asia on their own free will. During the sixth century, Ethiopians were trading in Mannar (northwest Sri Lanka) which was an emporium in the Indian Ocean. From the fifteenth century, African slave-soldiers became prominent in South Asia. At the end of the fifteenth century, in the Bengal Sultanate, Africans overthrew the local rulers and ruled for seven years. This is an interesting account of the history of Africans on the E African coast. The resistance of language via song lyrics is very close to my heart. So, I am actively looking to make funding and time available to do research and contribute further to this topic. You might both be interested in this article: Helene Basu, ‘Music and the Formation of Sidi Identity in Western India’, in History Workshop Jurnal 65, spring 2008. The author explains that ‘Sidi’ was a term for people of African origin in Gujurat and elsewhere in South Asia. She examines the sea journey that brought ‘uprooted Africans – Sidi slaves and seamen’ from East Africa, especially Zanzibar, and ‘the processes shaping the emergence of a collective Sidi identity in interaction with the host society. In both contexts – at sea and on land – African-derived forms of music referred to as goma played an important role. I’ve come across Sidi communities in Goa, Diu and Gujarat – and I’m aware of the communities in north Karnataka, Hyderabad, Karachi and coastal Baluchistan, as well as northern Sri Lanka (and further afield in Molucca). The Aga Khan Foundation had been doing some work to promote Sidi empowerment – the communities tend to be on the margins, with limited access, for instance, to higher education. I am not clear to what extent these scattered pockets of peoples of African origin feel that they have a common bond. It seems their migrations were from different parts of Africa, at different times and for varying reasons. Do you have a view, Shihan, about whether these communities have a common sense of identity? Thanks for your pertinent questions about the South Asians with African ancestry. Even though the timings of the waves of African migrations and the ultimate origins of these South Asians differ, they still have a common geographic origin – Africa. Several generations were born in South Asia because these migrations are centuries old. Yet there has been adequate in-marriage, enough to preserve their African physiognomy over all these years of living in South Asia. When they see an African they identify with that African and Africa. In terms of place of birth, nationality, languages spoken, food habits, clothing and housing, for example, Afro-Asians are like other Asians living in their locality. Music and dance are exceptions, vehicles through which they express their African-ness. Any confusions about the identity of these South Asians are in the academic domain. Thank you Herodotus for you mention of the Bombay Africans. I can add to Shihans wondeful explenation on Africans in South Asia. While travelling in India I was struck by the number and wide distribution of Afro-Indian communities and by their heritage in India. In the Northwest of India at Ahmedabad in Gujarat I encountered the 16th century Siddi Saiyad Mosque made by an African and probably the most photographed feature in the city. In the city of Hyderabad in the East of India found a gateway to the 16th Century Golgonda Fort that is called Habshi Kaman Gate after the Ethiopian guards. Habshi means Ethiopian. The Nizamz of Hyderabad had a Somali Camel Cavalry whose descandants still live in the city today. I also met with these Afro-Asians in Gujarat, Goa and in Karnataka. FOR YOUR INFO THERE ARE ALSO A SMALL GROUP OF AFRICAN-THAIS AS WELL LIVING DEEP IN THE JUNGLES. Hi!. Just wanted to say I love this post. Just the information I’ve been looking for. Is there anyway or anybody I could contact in Sri Lanka to meet the Afro Asian community here?. Thanks!. How can we reach members of those communities,i would personally want to reach out them and befriends. So many Sheedees in Sindh. Even our gatekeeper in Hyderabad is one. And yes, almost all are living a marginalized life. I don’t know why the writer has ignored the whole large community of African origin SHIDIS (also called Makrani Baloch) living in Karachi and parts of Balochistan along with Makran coastal highway. 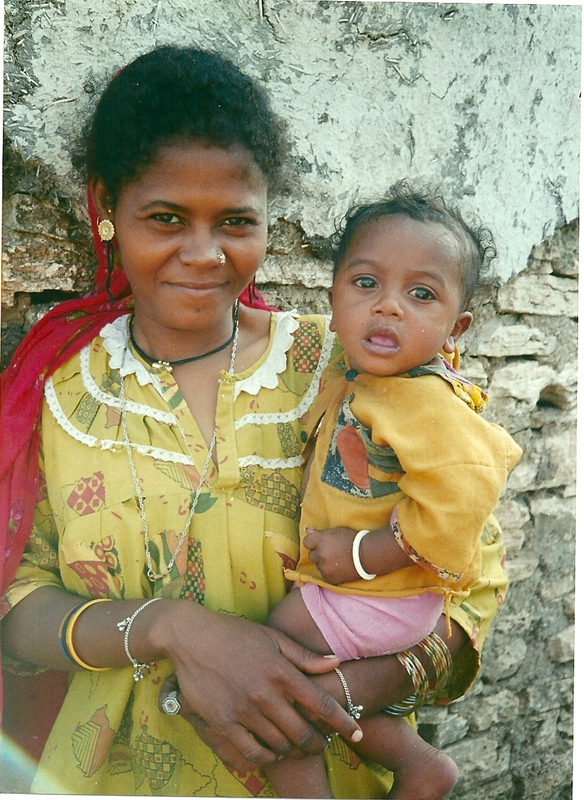 Does anyone know of specific organizations that are doing work with the Siddi communities in India? If so, how can i get in touch with them? Hi naveen,i feel the pain that blacks have had to endure through out the centuries but take comfort to know that God is impartial,he is also interested in each individual personally. Hi Naveen, there is a Siddi Jana Vikas Sanga establishedin Yellapore for empowring Siddis. Lot of skills and training workshops are being conducted. One good step in right direction? Bless them, at least now we know about them, our kinsmen and women. I thought some Indians looked more Black than dark-skinned Caucasian. Good to know. I am ashamed to discover that after having lived in Colombo, Sri Lanka for 26 years ( 1951 – 1976), I had never known about the existence of an African presence in Sri Lanka. Nobody spoke about it in the community or school or church. I can vaguely recall one comment by my father to “Kaffrinha” music – and that is all; I did not know what he meant. We sang Baila, revelled in the customs and traditions of the Island but I now feel sad that a chunk of experience and knowledge was missed by me. I would have loved to know and meet African people while in Sri Lanka. History and other lessons never touched on this. I was always interested in the history and origins of the community and people and it doesn’t look as if it was ever mentioned or talked about. We knew about Moors and Malays,about Indians and Chinese and the various Westerners but not the Africans. Though I am Indian, my friends and acquaintances were mostly Burghers, Sinhalese and some Tamils. Thank you Dr Shihan de Silva Jayasuriya for your Interest and research that has enlightened people like me. I have read your article and various people’s comments with great interest.